The current loyalty reward programs are estimated to be a massive USD 360+ billion industry. Businesses big and small have launched a myriad of customer loyalty programs with their own unique methods and criteria for earning, redeeming and exchanging the points earned by the customers. As per a recent Colloquy Loyalty Census report, nearly 30 percent of the consumers never redeem a single loyalty point earned by them through purchases. Stagnation in the industry brings to fore the need for disruptive changes in the customer loyalty programs that could make loyalty and rewards points truly rewarding for the consumers. The current scenario of loyalty programs makes the industry ripe for disruptive changes, such as those facilitated by blockchain. The current loyalty reward programs are estimated to be a massive USD 360+ billion industry. Businesses big and small have launched a myriad of customer loyalty programs with their own unique methods and criteria for earning, redeeming and exchanging the points earned by the customers. As per a recent Colloquy Loyalty Census report, nearly 30 percent of the consumers never redeem a single loyalty point earned by them through purchases. Stagnation in the industry brings to fore the need for disruptive changes in the customer loyalty programs that could make loyalty and rewards points truly rewarding for the consumers. The current scenario of loyalty programs makes the industry ripe for disruptive changes, such as those facilitated by blockchain. Loyalty points are not global, being tied to geographies and provider programs While you are at liberty to exchange your bank balance with a foreign currency of your choice wherever you travel, and also use your international credit card all over the world, why can’t you use your loyalty reward points, irrespective of where they were earned? The reason for this is obvious; your reward points are not global and are tied to the program operator’s geographical location as well. Stringent redemption protocols and policies make it is really hard for a consumer to choose a reward of choice and redeem it with a merchant in any part of the world where the business is participating. It’s a lengthy and time-consuming process wherein a business has to tie up with various merchants for loyalty programs. Managing the points earned by the consumers through loyalty programs further add to the complexity of the whole program, especially for SMEs that have limited resources to work on such administrative and operational hassles. But all these problems are that the brands and SMEs have to resolve, and the customers should be provided the freedom to redeem their hard-earned reward points the way they want. Thanks to blockchain integration in customer loyalty programs such as the one offered by Dewber, it’s now possible to use crypto tokens for purchases anywhere in the world. The businesses will accept the Dewber crypto tokens for selling items such as coffee, burger, pizza etc. 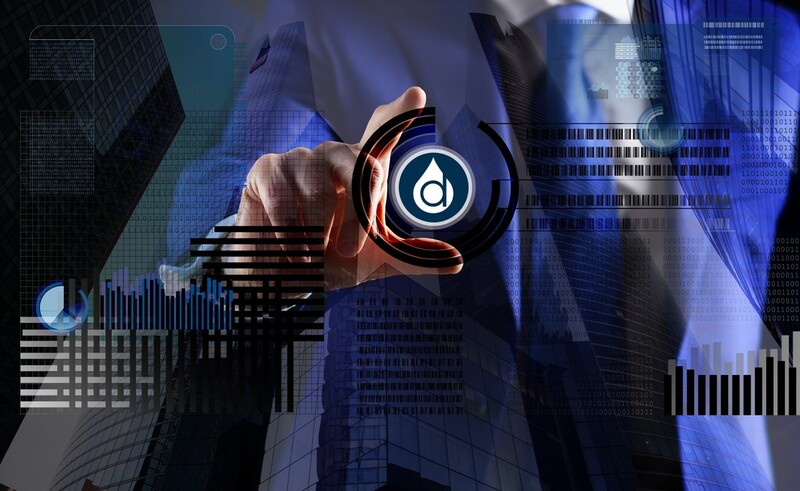 This way, the utility of the point holdings will be safeguarded on Dewber platform as the user would be able to redeem the Dewber tokens earned in loyalty for various items. The blockchain powered decentralized system run by Dewber global digital crypto loyalty program provides small and medium businesses an excellent opportunity for the global reach of their customer loyalty programs at a fraction of the cost of the traditional loyalty programs, bypassing all the complicated legal and geographical hurdles. Dewber brings the participating businesses and consumers on a single platform and allows the users to combine and convert their points into the latest cryptocurrency. 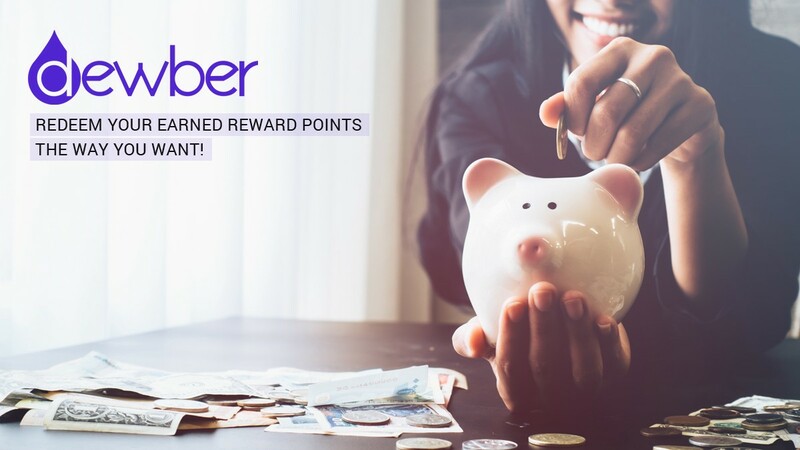 Dewber tokens allow for the loyalty points to be redeemed for purchases on various participating businesses and stores. The customers can easily browse their Dewber Rewards through Dewber mobile app or desktop. Soon, the customers will be able to redeem their points on Dewber platform against a range of products such as smartphones, tablets, and smart watch.